My research area is solid-state nuclear magnetic resonance. If you click below, you can download an introductory set of notes I use at the end of my NMR course to show the students a bit about solid-state NMR. Please also visit our research pages, where you can find information on all of the solid-state NMR projects in our laboratory. 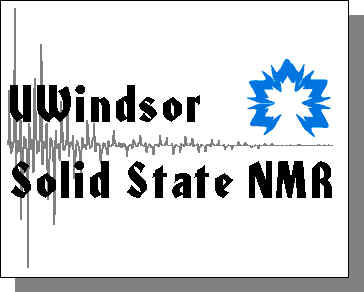 Click here for an international listing of solid-state NMR research groups.